E-Z Literature is only one click away. We will keep updating our literature and data sheet offering, so check back for additional downloads. 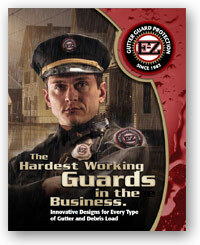 E-Z Gutter Guard has designed and produced some of the finest gutter protection systems on the market today. Midwest Enterprises, manufacturer of E-Z Gutter Protection Products for over 30 years is proud to offer a series of Limited Warranties.